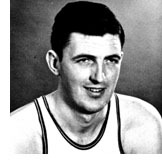 McCabe, a standout on the great Caterpillar basketball teams, was also a key member of the championship U.S. Olympic team of 1952. McCabe was an outstanding center at Marquette University before joining the powerful Cat teams coached by Warren Womble. He became one of the finest players in the NIBL, an amateur league considered to be an equal to professional basketball in terms of quality of players and strength of schedules. He began his association with Caterpillar in 1950 and soon gained national recognition for his aggressive rebounding and his soft shooting touch. He played on three of Caterpillar's National AAU teams and was a dominant star on each of those teams. 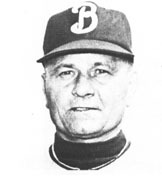 It was in 1952 that he was selected to the U.S. Olympic team. He was one of the major factors in the American sweep of the Gold Medal, including a convincing championship victory over Russia.